As we waited to board the plane from Tallinn to Prague we received a curious email from the manager of Predawn (we collaborated with the singer/songwriter last year at the flau organized event, Foundland) at HIP LAND MUSIC asking if we would be interested in working with a new artist, Rayons, on their debut album (on the Rondade label in Japan). 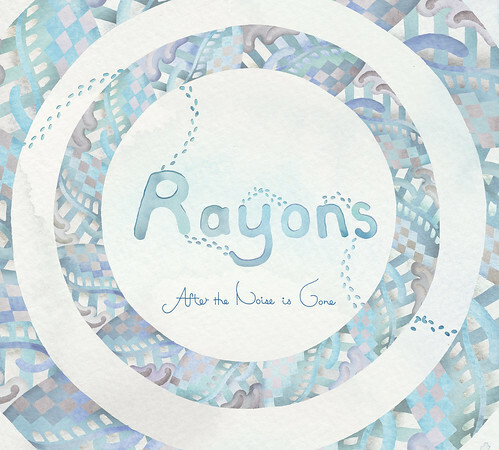 Rayons is lovely, subtle music, with plenty of curiosity and mystery and touches of longing and darkness. It is mainly piano with cello and ambient noise accompaniment and Predawn adds vocals on a number of tracks. Now we are working on an animated video for one of the tracks on the album - with a super tight deadline! So our holiday season is going to be filled with late nights and graphite shavings on everything. But we really wouldn't want it any other way.